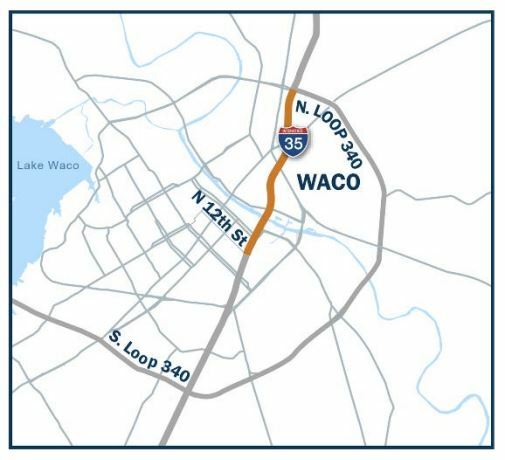 As TxDot gears up for widening and rebuilding I-35 through Waco, there will be some significant impacts on bicycle/pedestrian travel between the two sides of the highway. One of the first things demolished will be the Bike/Ped bridge at 8th St (near Common Grounds). The 12th street flyover will go also and be replaced with an at-grade segment for 11th St, with I-35 going over. TxDot wants to have good communication with the cycling community and has prepared a brief survey which will help you stay informed as the work progresses.